&hlAlright, I'm just going to say it, because I'll probably never have a chance to say this again......Scott Blair is better than John Goodman. That's right, I said it. 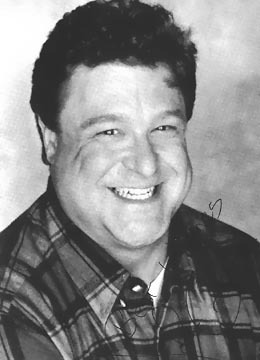 And yes, this John Goodman. This past weekend Scott and our good friends from alt.news 26:46 attended the annual Mid-America Emmys in St. Louis. The gang came out 5 for 7, including Scott walking out with a statue for Best On-Camera Talent, awarded for the array of hosted segments he's done for alt.news. This has been the 2nd year in row that he's won this category, but what made this year special, was who he beat. THE JOHN GOODMAN, that's right, Mighty Mack McTeer from Blues Brothers 2000. Bravo Scott! Here's his acceptance speech. And to celebrate, here's a collection of all his hosted segments that are online right now.